Mid Bloomer. 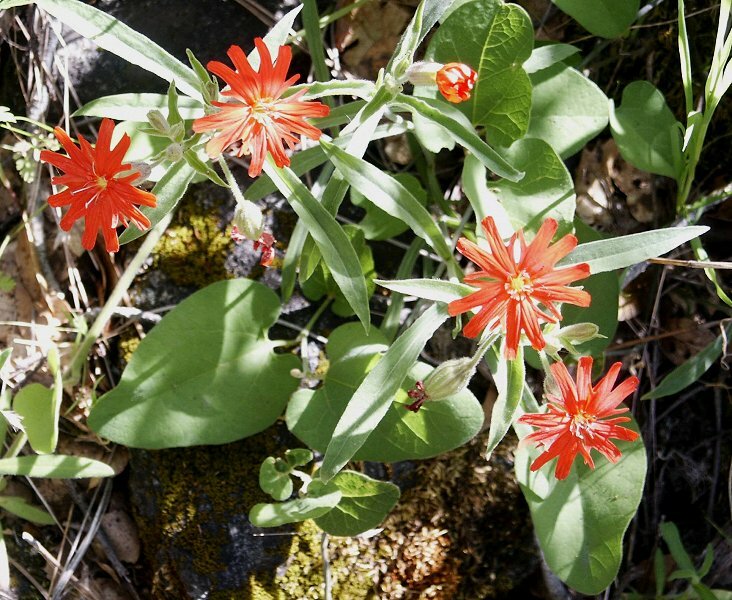 Five bright scarlet petals, each pinked into a pair of deep lobes; sticky hairs ‘trap insects.’ Only Sierra Silene with bright red flowers, likes open shade. Notes: Pink family. It is the only truly red flower we have on the trail. They are low-growing and are found down beyond the Lomatium, near the river where the trail goes straight before it forks left to the Redbud at creek's bank. This is also a nice area for Blue Dicks, Iris and others on the shady slopes. 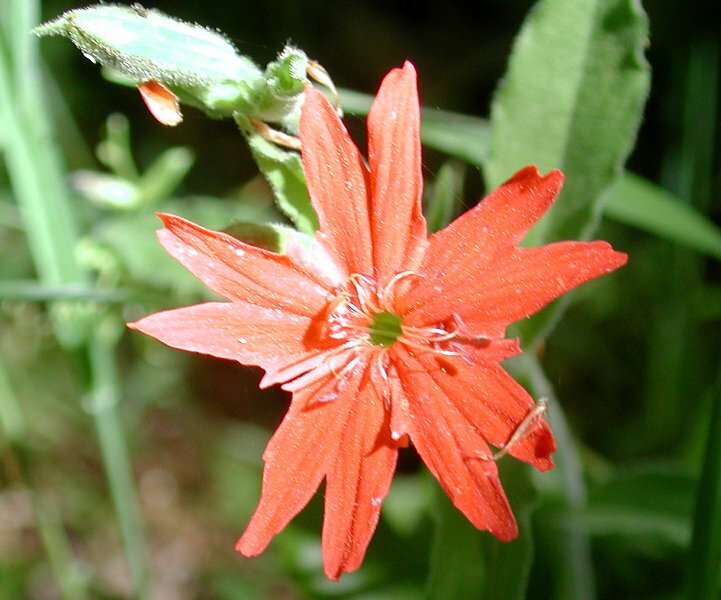 The genus Silene has about 500 species. The word is derived from the mythological Silenus, intoxicated foster-father of Bacchus, the god of wine. They are related to the Catchfly, the word being somewhat of misnomer. It apparently refers to the sticky secretion on the calyx of many species, which sometimes trap tiny knats; it is unlikely a fly would get stuck, though it might be ‘distracted.’ Most pinks, but not all, have deeply lobed, or ‘pinked’ petals. Blossom is about 1 inch across deeply-pinked petals.